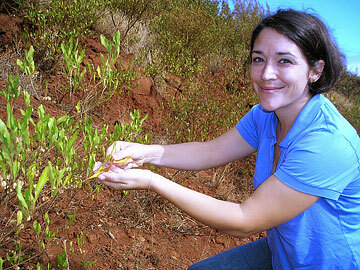 KAPALUA, Maui » Along a rocky hillside near a pineapple field, Megan Webster collected dried flower seeds of the Hawaiian shrub a'ali'i, as part of a native reforestation project in West Maui. "We'll be planting species native to the surrounding area there," said Webster, the makai stewardship coordinator for the Pu'u Kukui Watershed Preserve. 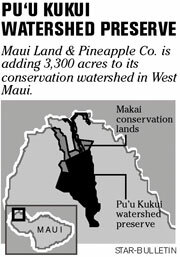 As Maui Land & Pineapple Co. focuses on the sale of fresh pineapple and improving its watershed lands, it is trying to stabilize the soil by restoring some of the native forest. Company officials are planning to add about 3,300 acres in Honokahua and Honolua valleys to the 8,300-acre Pu'u Kukui Watershed Preserve on the northwest side of the West Maui Mountains. Pu'u Kukui, already the largest private preserve in the state, is home to endangered plant and animal species and a part of a watershed that provides drinking water to about 70 percent of Maui residents. 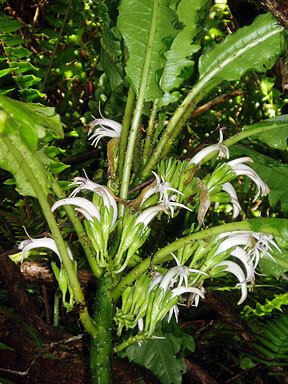 Some endangered species include the Hawaiian hoary bat, Hawaiian nene goose, dark-rumped Hawaiian petrel, and plants such as the pauoa fern and the haha. The preserve also has dozens of plants and animals regarded as "species of concern" by the U.S. Fish and Wildlife Service, including the 'eke silversword, the pinao'ula damselfly, Hawaiian red-tailed goby fish, and Hawaiian short-eared owl. Preserve manager Randy Bartlett said in addition to the reforestation project, the company plans to build about 14,000 feet of fencing to keep out axis deer. Watershed officials said the deer have been sighted mainly in the Wailuku and Waikapu area but they want to make sure they don't get to be as big a problem as on Molokai, where there are thousands. "We're trying to be proactive," Bartlett said. Bartlett said that since the preserve was established in 1988, the company has been able to reduce the pig population by 80 percent. "There's a lot less damage being done," he said. On the downside, he said, the West Maui Mountains have been invaded by alien weeds such as Tibouchina herbacea, a native to Brazil and Paraguay that can grow 10 feet tall. The preserve, which has six employees and a summer intern, is partially funded through the state Natural Area Partnership Program, which provides matching funds. Company officials anticipate the addition of the 3,300 acres will provide more funding for the partnership. 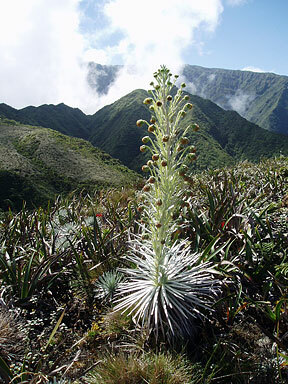 Webster said the 3,300 acres provide Maui with a unique opportunity by connecting 4 1/2 miles of coastal lands to the existing mountain preserve. Within the preserve from the ocean to the 5,788-foot elevation are a range of climates from coastal and dryland shrub to rain forest. Webster said to increase the likelihood that new plants will survive the reforestation, she and other watershed workers and community volunteers are collecting seeds of native plants in the preserve to develop future saplings. Using seeds from plants in the region ensures the plants are adapted to the area and should ultimately survive, watershed officials said. "We're working to preserve and protect our natural areas, to be better stewards of the land," Webster said.